Green products to transform any space! Stylish and space saving green solution. Hard armor for severe erosion control. "Brings new life to any wall!" 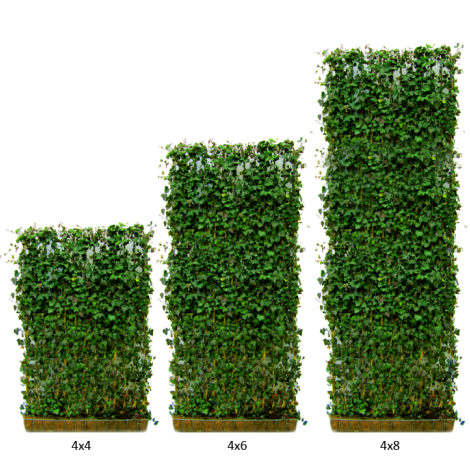 At Devron Sales Ltd., we are committed in providing our valued customers with quality and innovative products such as our new Green Living Fences. Our wide range of products are related to the construction, drainage and environmental industries and are coupled with the most current technical information. We strive to provide exceptional customer service and relations through dedication, integrity and professionalism. We are excited to continue offering our innovative Live Solutions in 2019! Green Living Fences are a hardy evergreen ivy that is grown and woven onto a galvanized steel frame that can be planted in the ground or in planter boxes. They are an innovative, environmentally friendly way to provide privacy and security.